The most common solution to a broken or ugly shoe today is to replace it with a new one. But what if your shoes are one of their kind or have not been used that often? There are several benefits of seeking services for shoe repair in NYC that include the following. 1. You save your money and get to keep your shoes. Going for shoe repair in Brooklyn or NYC saves much of your time and money that you would have otherwise spent on a brand-new pair of shoes. Sometimes, lightly used shoes that get little wear and tear can be fixed easily and last for a very long time. So, if you are particularly attached to a pair, you don’t have to dump it right away. 2. You help the environment. It takes up resources and material to make every pair of shoes. You would be doing your little bit in saving those materials by getting your shoes repaired instead of buying new ones. 3. The health of your shoes would improve. Taking your expensive shoes for a professional repair service gives a boost to their overall appearance and strength which also extends their durability. 4. You can fix little size issues. If a shoe is just a bit too tight or loose, repair services like stretching or adding another sole can fix the problem for good. 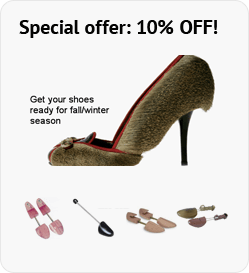 So, go ahead and enjoy your favorite footwear for a long time to come with exceptional shoe repair services.